Data measured by your water phantom need to be formated the way the TPS (treatment planning system) requires it. So as you know this kind of tool is mandatory. But instead of having various converters of different manufacturers one application can be used to do it all. And you can do way more .. 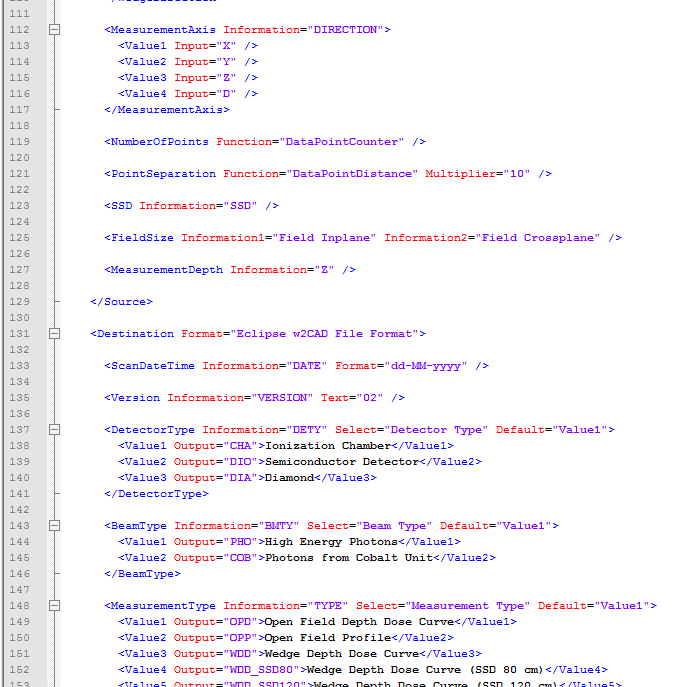 The input is totally flexible based on an adaptable XML-file. The output-file is generated based on the XML-input-file and a general XML-file. The combination of both files allows to format your data to all kind of TPS-formats. The advantages are great if you don't satisfy with strong limits but prefer flexibility and transparence. You define how the format of your input looks like. You define how you want this input to be converted. You define what kind of output you want. No hidden parameters. One application to do them all. TPS output formats are available out of the box: Eclipse & Pinnacle & Masterplan. Input-file formats are prepared: P2P & PTW. Adapt to known and proper formats, and e.g. share.